C. Eule Dance, a contemporary dance company of 14 years in New York City, relocated to LA last year and is premiering their first concert at Mimoda (there is a link at the bottom.) 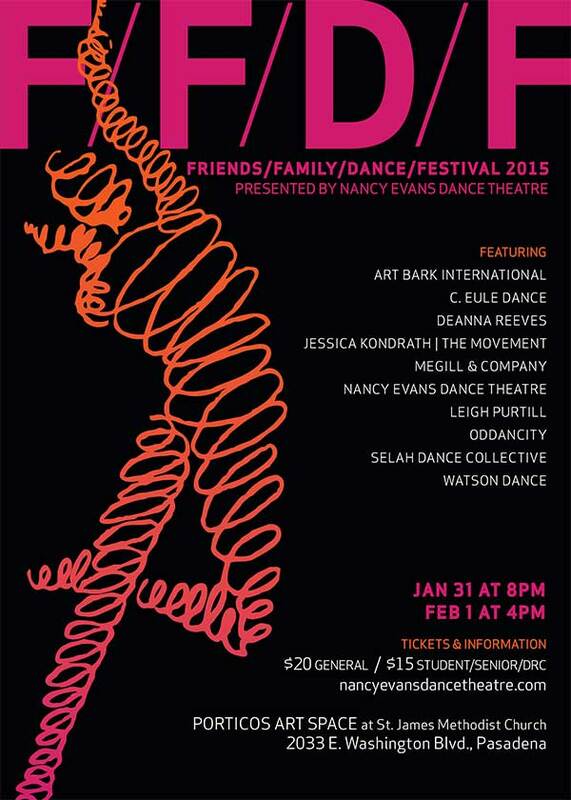 The evening consists of two new works created in Los Angeles and several company repertory pieces. Some of the pieces will be performed to live violin, cello, and piano music with original score by Annette Homann and Amir Khosrowpour. In typical C. Eule Dance fashion, the musicians will become part of the dance, blurring the line between musician and dancer. workshop for children and families. 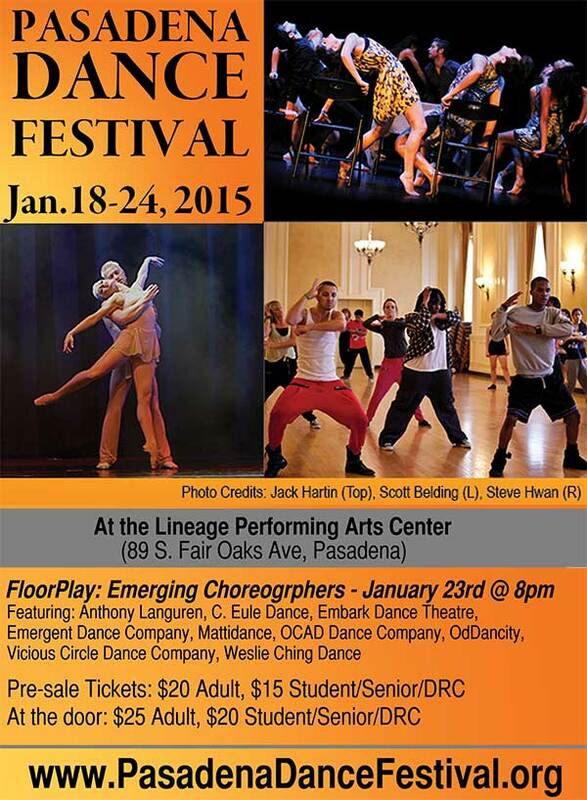 “The Invitational” showcases both well established artists as well as new emerging talents exclusively from the Southern California area, in an effort to increase local audience support, connect the diverse dance community of Southern California and to provide access to professional concert dance for the public. C. Eule Dance will present “Dance of the Penguins” with dancers: Rachele Donofrio, Caron Eule, Vanessa Dunn, Annalee Traylor, Adam Ziv. 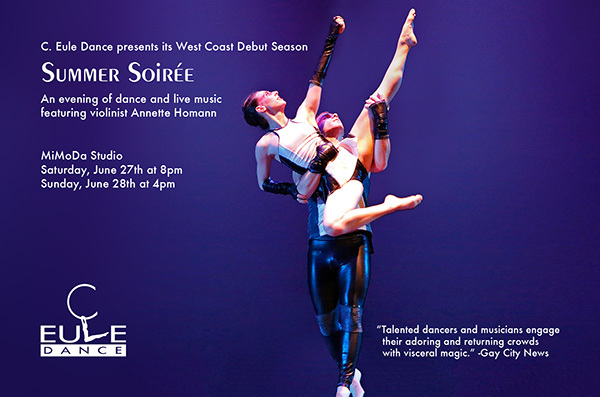 C. Eule Dance West will present the full version of “Dance of the Penguins” with dancers: Nora Brickman, Rachele Donofrio, Vanessa Dunn, Raymond Ejiofour, Annalee Traylor. in the 2PM show. The 8PM shows a different set of choreographers. Companies presenting: Axxiom Dance Collective, BE Dance Company, Brockus: RED, C. Eule Dance, Djanbazian Dance Company, For Dance Company, FUSION Dance Theater, Hart Pulse Dance Company, Hill Speak Dance Project, Mattidance Company, Multi Plex Dance, Nancy Evans Dance Theater, No Strings Attached, OdDancity, Orlando Agawin & Dancers, Ptero Dance,San Pedro City Ballet, and the host company Rubans Rouges Dance Company will be presenting beautiful and amazing works.